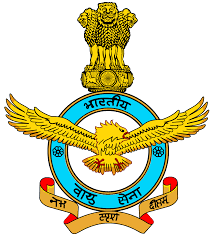 Indian Air Force (IAF) invites unmarried male candidates for selection test in Jan - Feb 2017 to join as Airman. The online application will start from 15 Sept. 2016 and will be close on 29 Sept. 2016. The application will be excepted only online mode. no other modes are not allowed. Communication Technician and Meteorological Assistant. Assistant, Accounts Assistant and Medical Assistant. Group X (Technical) 10+2 with Physics, Mathematics and English with 50% marks in aggregate. Three Years diploma in relevant trade. Group Y (Non-Technical) :- 12th class pass in any streme with minimum 50% marks in aggregate. Date of birth:- Candidates who are born between 07 July 1997 to 20 December 2000, are eligibile for this recruitment.